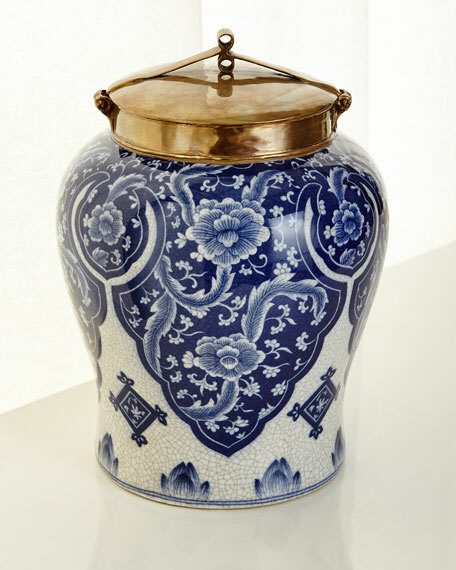 Handcrafted large blue and white lidded jar. 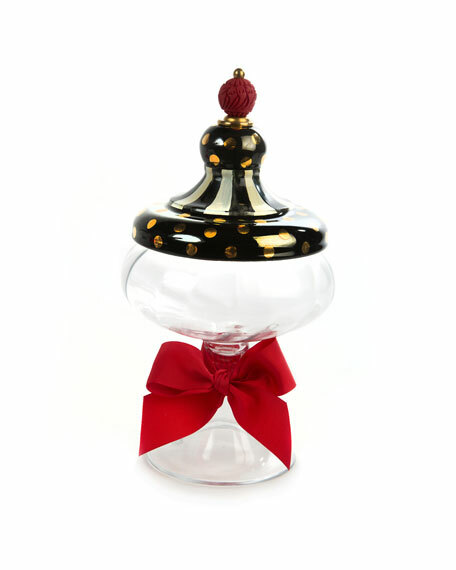 Crafted of porcelain, with bronze lid. 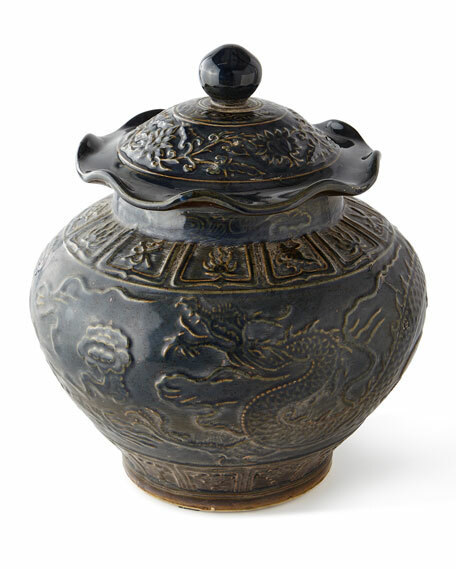 High-fired porcelain vase features dragon design. May be used both indoor or outdoor. Made in Jingdezhen Citythe capital of porcelain in the world has 2,000 years of porcelain production history. 14"Dia. x 15.5"T.Imported. 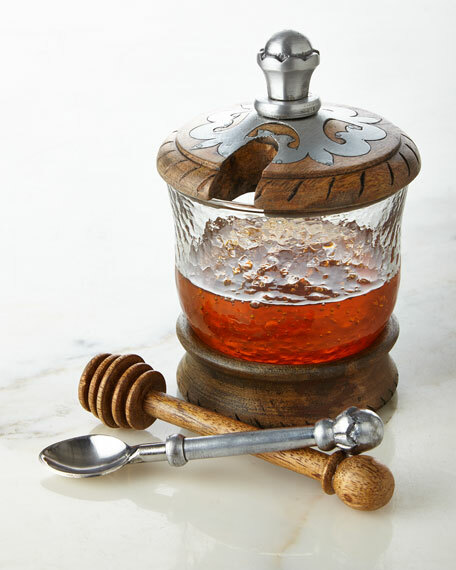 Handcrafted honey jar.Sustainable mango wood with aluminum inlay and glass.Hand finished.Comes with wood honey dipper and stainless steel spoon.4.5"Dia. x 6.5"T.Wipe clean.Imported. 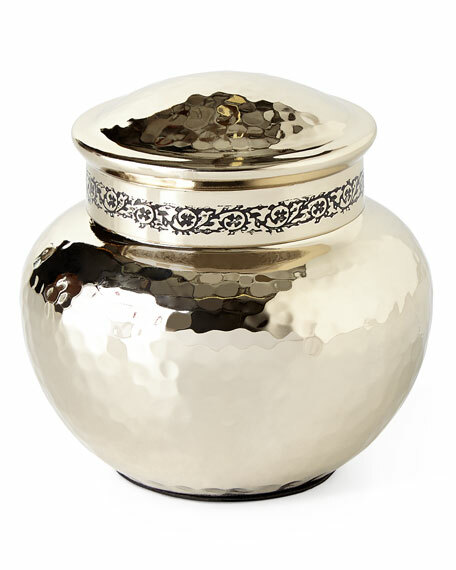 Hand-hammered, silver-tone brass.Variations are due to handcrafting.Small covered jar, approximately 4.5"Dia. x 4.25"T.Imported.